Basically I am very passionate about comics. It stems from when I was young. I spent most of my time reading Marvel comics. I can remember the first comic I ever owned, Spider-Man. When I was young it was a way to escape into a world of complete imagination. Through the years my passion never changed. All through college they still were a part of my life in some way shape or form. 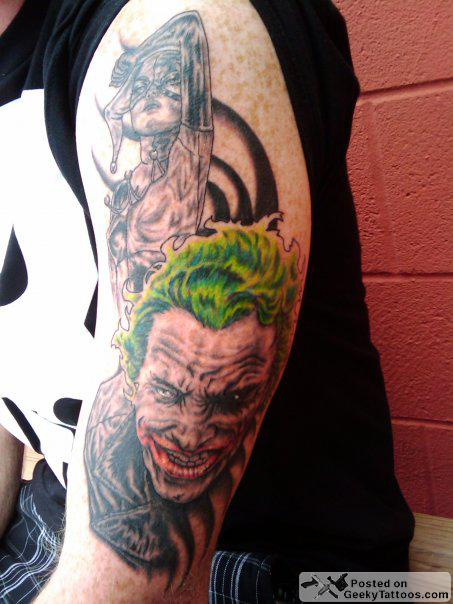 As I grew older I gravitated towards DC and Batman; hence the big leg sleeve I’m doing now. A dream of mine has always been to own a comic shop and it’s about to start happening. 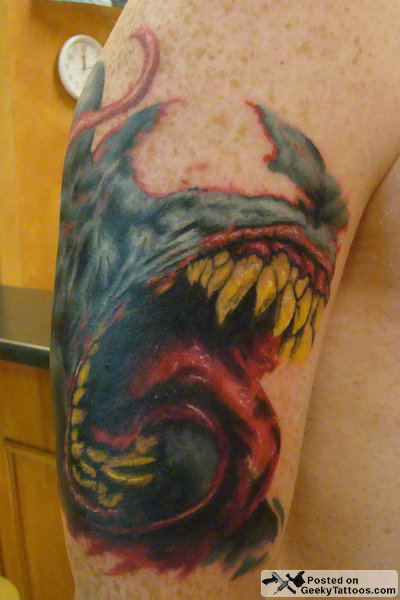 I became friends with James, my tattoo artist, who also is a comic fan and shows it by having a good handful of Spider-Man tatts. 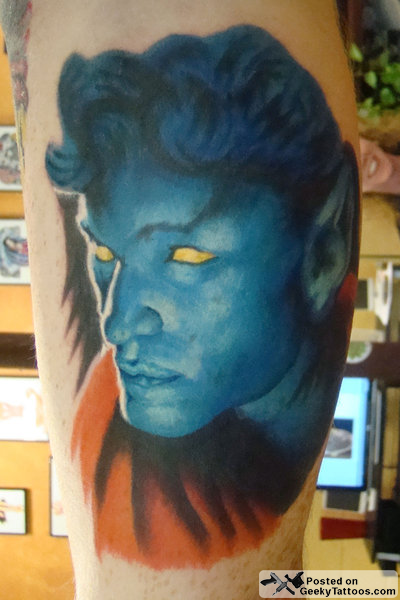 Tagged with Artistic Ink, Harley Quinn, Joker, Nightcrawler, Venom. so much fun because i saw cool tattoos of this site and also i like this one …. wow !! Why is this tagged as catwoman when that's clearly Harley Quinn? ?